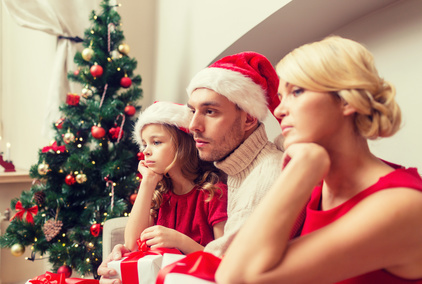 Nosey aunties, arguing siblings, a partner nobody likes or a Christmas gift list that’s burning a hole in your wallet – spending the holiday season with family is not always the fun and games we’re told it’s supposed to be. Laleh Alemzadeh-Hancock is a management and communications consultant, Right Voice for You facilitator and the founder of Global Wellness for All, an organisation that creates wellness in all areas of life, with particular focus on individuals with perceived disabilities. With nearly 30 years’ experience in operational excellence, change management, organisational wellness and business consulting, Laleh has inspired and empowered hundreds of thousands of individuals including Fortune 500 executives, government agencies, non-profit organisations, athletes and veterans. She is an advocate for people of ages with special needs or disabilities and their caregivers, and was named the Top Coaching & Wellness Expert in Maryland, Virginia, and DC by Top Doctors Interviews.